Nashville is currently seeking proposals from private companies to help modernize its on-street parking operations. 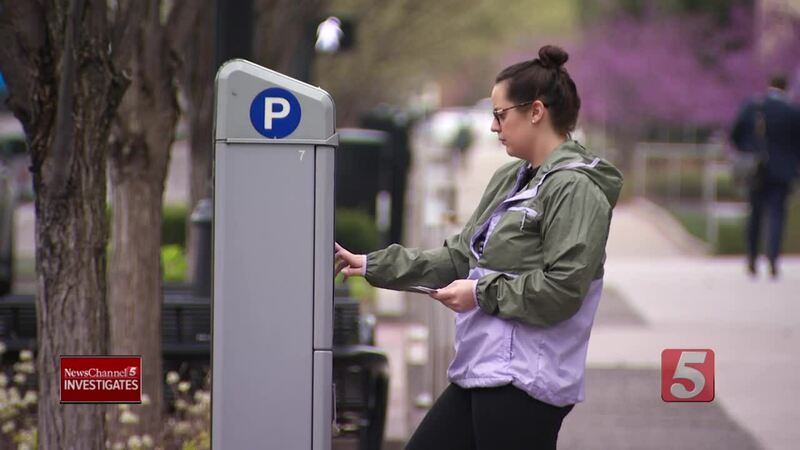 NASHVILLE, Tenn. (WTVF) — Nashville is currently seeking proposals from private companies to help modernize its on-street parking operations. The winning bidder will get the right to operate, enforce and even expand the current street parking, although the Metro Parking and Traffic Commission would have to approve any new meters. The deal could mean as much as $34 million for the city over the next two years, but it also means it will soon cost more to park your car. Nashville is booming and parking is expensive. Parking downtown can often run as much as 30 dollars for two hours. Now Metro is hoping to cash in -- looking for help with its budget problems. "What we are proposing here is new to Nashville but it is not new in the world of parking management," Skip Stitt, a Metro consultant recently told the Parking and Traffic Commission. He is one of 5 consultants Metro hired to help the city evaluate proposals from private companies to take over metered parking in Nashville. 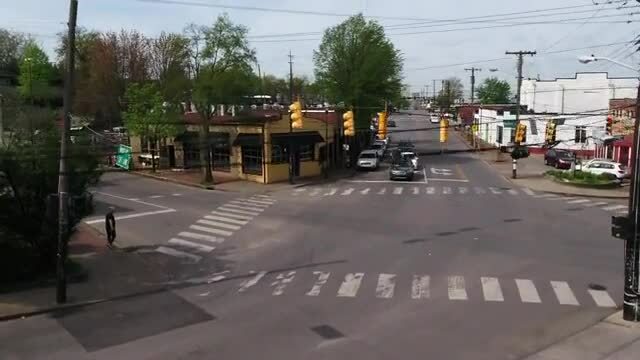 Metro has put out a Request for Quotations seeking a private company that would pay millions up front for the right to administer and profit Nashville's street parking. "This is about more than just meters it's really about putting Nashville on a path to being a 21st century modern city," said Brian Kelsey, the Mayor's Chief Strategy Officer. Speaking to the Parking and Transportation Committee earlier this month, Kelsey recommended that the commission approve big changes to Nashville's metered parking -- so it will be more attractive for a private company. Those changes include - eliminating free parking on Sundays and extending the hours of operation until 10pm every day. Currently meters stop charging after 6pm. The commission also voted to recommend raising rates by 25 cents an hour with future increases connected to the consumer price index. And they recommended the Metro Council approve sharp increases to parking fines, more than doubling the current $11 fine when the meter runs out, up to 25 dollars for future violations. But the biggest changes are likely to happen in places like Five Points in East Nashville where you may no longer be able to park for free. These streets and the streets around it will likely be getting new meters. And It's a scene that will play out all across the city. 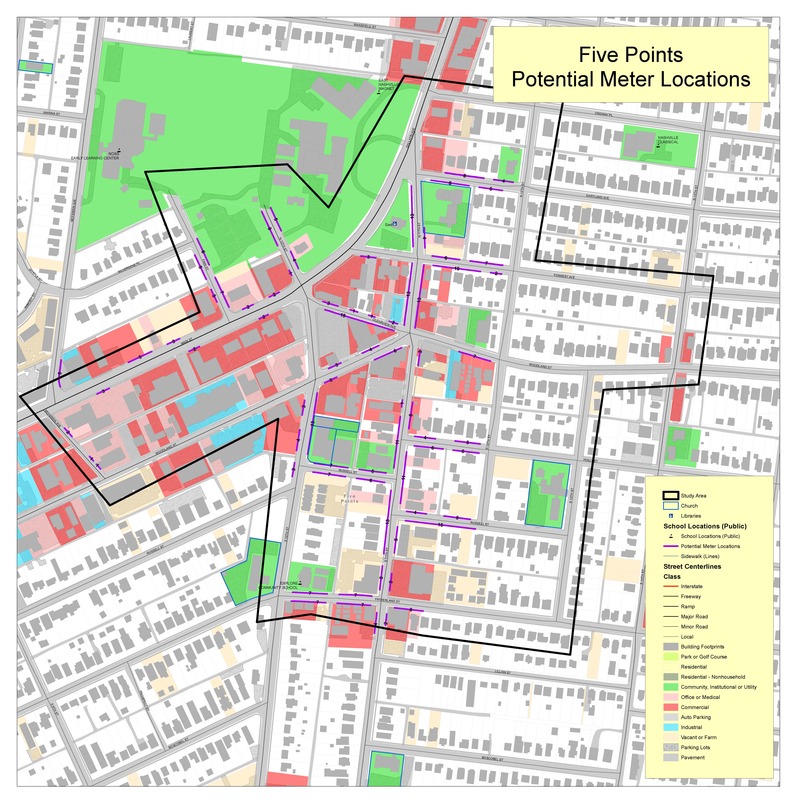 Other areas likely to see meters are streets in and around the 12th South business district , portions of Midtown and large parts of Germantown will no longer have free street parking. Overall the city could more than double the number of meters in the city. "We're expanding the footprint drastically on where these meters can go," said Metro Councilman Steve Glover. He says he was shocked when he saw the areas where a private vendor could start putting meters. "We're going to get a boatload of phone calls from people that are mad. They're going to be mad as a hornet because now they are going to have to start paying for parking on the street they were not used to paying for parking for," said Glover. Metro is asking for 17 million dollars for each of the first two years of a 30 year contract. It would then share in the parking revenues after the first two years. "A short term gain for the city and a long term loss for the taxpayers," said Glover. Glover also worries the city is making a bad deal. In fact earlier this year Metro nearly awarded the metered parking contract to a financial firm that has other contracts with the city, but then abruptly backed out of the deal after another company protested, claiming Metro had "a gross misunderstanding" of their proposal and was leaving as much as $74 million on the table. "There was some confusion in the original solicitation," a Metro attorney told the Parking and Traffic Commission last month. Metro is now re-bidding the contract with a new RFQ that is asking for more money up front but also promising potential companies the higher rates and more meters. "I have no idea how you don't read this and see that we are being taken advantage of," Glover said. Glover worries the city is desperate to get the upfront money to make next year's budget work. He said it appears Metro wants the contract in place before the start of the next fiscal year in July. "Nashville is trailing what a lot of other cities have done in terms of a modern approach to on-street, metered parking," said Kelsey.